For the last two weeks the sky has been covered with clouds. 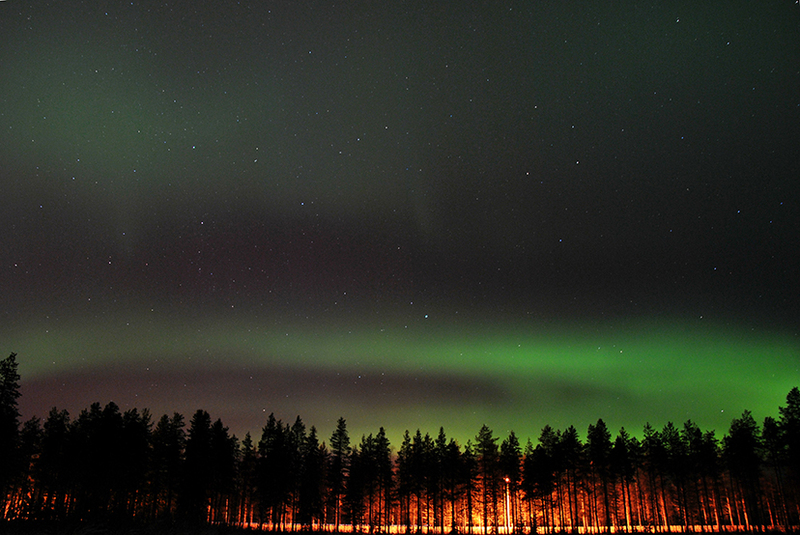 Last night we got lucky and had a night with a clear sky – that means northern lights for us here in Rovaniemi! 🙂 I took some photos on our backyard. The next time that I see them I’m gonna go to a place with less light pollution in order to get better photos. Now I was on a field next to the big road going towards Ivalo. Another forecast you have to keep an eye on is the cloud weather forecast. The Finnish Meteorological Institute (ilmatieteenlaitos.fi) has a cloud cover map and you can find this useful tool here.